The following are edited portions of an interview with Daniel Y. Harris, a contributing editor of Esthesis as well as co-founder and current editor of X-Peri, an e-magazine for experimental poetry. He is also the author of several influential books of poetry, including Hyperlinks of Anxiety, The Underworld of Lesser Degrees, and most recently The Rapture of Eddy Daemon. He currently lives in Cambridge, Massachusetts. The entire interview, which was conducted by Esthesis general editor Carl Raschke, can be found on YouTube, although the sound for some small segments s are choppy because of the limitations of Google Hangouts. The video interview also includes readings of Harris’ actual poetry, which are not reproduced in this abridged text format. CAR: Welcome to Esthesis Mag. Today we’re very happy to have as our guest Daniel Y. Harris, who is a well-known poet, entrepreneur, editor, and fundraiser. He is currently publisher of X-Peri, an electronic magazine of experimental poetry. He’s going to talk about about what experimental poetry is, the scope of the experimental scene in United States, what it means, and what he’s doing. DYH: Well thank you, Carl. It’s a pleasure to be here. Even though there’s been a great tradition of experimental poetry and literature in the 20th Century, X-Peri is not just a magazine. It’s an idea, an ethos. “X-Peri” is a word that was coined a while back by Irene Koronas, who is an experimental poet and a painter, as a way of engaging the experimental in poetry and literature. Several years ago I arrived on the scene of experimental poetry after a long career as a fundraiser in the Jewish and non-Jewish professions, serving on various boards. I had been the board chair of the New York Quarterly Foundation for three years prior moving moving to Cambridge, Massachusetts, where I’m now located. As I began to work and talk with Irene on the nature the experimental, while she looked at my work and I looked at her work, we decided that the way to really move the conversation forward in the area of experimental literature was to put together by solicitation a magazine, one that would feature those founding members or contributors to experimental literature in the twentieth century. We started with people like Charles Bernstein, the founder the founder of Language poetry and Rosemarie Waldrop, the famed translator of Edmond Jabès. So we set a sort of groundwork for major movements, and in doing so and in doing so drew the attention of younger experimental poets in their 30s and 40s. These experimental poets come mostly out of England right now. There is a renaissance of experimental poetry going on in England, maybe because they’ve had such experimental leading lights as Jeffrey Hill. So this is how X-Peri came into being. It came into being to create a foundation for experimental literature. There is a tradition of experimental poetry and experimental literature, which is described as the “other tradition”, the non-normative tradition runs against the norm norms of the academy, the norms of small presses, the norms of the major presses, even the norms of the Modern Language Association and the associations of writing professionals. The “normative” is an industry that has been crafted out of the non-experimental, and why it’s happened that way may be a topic for graduate students in 50 years to analyze. But the experimental, so far as X-Peri sees it, is not just about putting together a random array of ideas. It’s not simply using cut-ups, as the Dadists did. It is using those techniques with a careful eye on advanced narratives, not just the colloquial narratives of confessional poetry, nor advanced narratives as created by T.S. Eliot or Ezra Pound – that is, narratives that are of a transcendental omniscient type. It’s a very good place to be, because the people who will carry that tradition forward will be the young people. Someone will say, “isn’t this nihilistic?”, or “isn’t this the end of comprehension, or just pure arbitrariness?” It absolutely is not. Rather, it is an infinite array of openings that allow pure experiment to take place, not a closing off, not an annihilation, not a breakdown into [literary] meaninglessness, but using technology as a lingua franca, so it’s not just a device. It’s not as if you maybe use the word “algorithm” in a poem, because you are somehow paying attention to trends in computer science. No, that’s not it at all. We use technology and algorithms in the way the Dadaists used “found objects” as the art itself. They weren’t being cute, although they are charming hundred years later. They actually said, “look this toilet seat, this doorknob, is in fact the art itself”. Why? Because we encase it in the tradition of presentation and focus in a way we’ve always done going back to Rembrandt. But we do it with the found objects, so experimental poetry takes with it today the remarkable experimental narrative that uses, and has used, codes, algorithms, internet language – in short, every type of Internet meme – as if it has been written cybernetically, or robotically. The difference is that it’s not a machine making the poem. It’s a human being who has adapted information produced reproducing robotic technology into a type of poetry, and frankly it excites me. CAR: I finished reading your new book of poems entitled The Rapture of Eddy Daemon. I was wondering if you could talk a little about about that book. “Daemon” of course is a computer term, but it can also refer to a demon in the religious or mythological sense, or even do a Socratic daimon. It has many meanings. If you look at the history of cyberlanguage, the term was developed to mimic that old sort of esoteric notion of the “magical” demon. 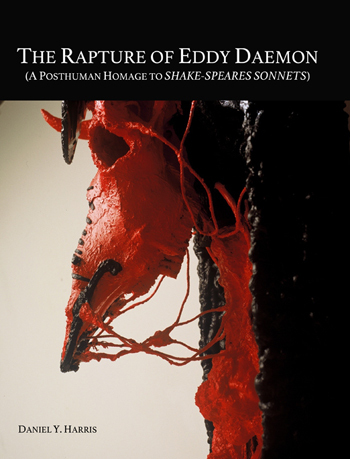 I am wondering if you could talk a little about the genesis of that book.. Who does Eddy Damon signify for you, and how is it a paradigm of experimental poetry? DYH: That’s a wonderful question, and I will be happy to in this case. I am not shy about what I believe I am inventing. It’s not because I am hubristic, but because I feel I have a passion for reinvention, and I am convinced my invention is going to be the future. So I might as well share it, and I might as well be enthusiastic about this process of reinventing poetry for myself, and perhaps for certain scholars around the scene, who’ve read my work beginning with a book called Hyperlinks of Anxiety, which came out in about 2013 and where for the first time I began to incorporate the language of technology into poetry. There are examples of that throughout this book, but it begins with the poem that honors the founding fathers of high-technology out of Silicon Valley. That continued forward. I began to think about the idea of making computer language into a new lingua franca. Yates had the texts of Byzantium as his lingua franca. He loved classical Greek mythology, the Latin poets etc. So what is our lingua franca? it can’t be the personal narrative. It can’t be a identity theory, gender politics, although these are important topics for our time. [The latter] can’t really be the new conversation. So this book led me to the next book, which is titled The Underworld of Lesser Degrees, which was kind of a companion piece to Hyperlinks of Anxiety. But in Underworld what you’re getting is something more along the lines of a parody. There is an earnestness in my first discovery. But as I became more convinced of the sincerity and the genuineness of the experience, the satirical in me began to become manifest. You can’t have a genuineness without a little commedia dell’arte working through you, so of course I had to, because I’m a student of yours, Carl, going way back in theology, theogony, hermeneutics, deconstruction – you name it. So in time I begin to incorporate a kind of satirical approach to the theogonic in poetry – and of course even computer viruses. Next to come along with an idea connected to the fact that it was the 450th birthday of William Shakespeare. Now there are people out there who want Shakespeare to be Edward De Vere, or Mary Poppins. It really doesn’t matter, because his complexity is so enormous. With an elusive lack of autobiography, you have a whole industry built out of the scarce details about his life that became a fascination for me. Having had the time to spend with Harold Bloom in his incredibly ambitious book The Invention of the Human, which I love like the Hebrew Bible, I came to the idea of rendering human experience, along with with reading Shakespeare, through an eclectic array of 154 sonnets without having the faintest idea of the religious position that this character named Shakespeare had. That led me to believe that Shakespeare is a perfect example of an algorithm, of internet language moving in so many directions at the same time. That language cannot be pinpointed. I think that’s much closer to how the human mind works. If were honest about the human mind works, we can see that there are thousands of bits of information running through it successively. Eddy Daemon came into being as I was thinking about who is the character of William Shakespeare. Who is the messianic figure of in the Jewish religion of Hasidism? The messiah is the arrival or fulfillment of the promise of David. He is the Nietzschean Übermensch, the solitary figure rising above the mountain. Fortunately, that figure is a satirical one that is as funny as Mel Brooks holding three tablets. But something a little similar to that figure, who is not there to create sarcasm despair or nihilism, but through a dandy wit and a vast erudition inspires every kind of art under the same canopy, was born in the creation of Eddy Daemon. This “rapture” of course comes from the idea that there will be a messianic fulfillment, and people will rise up with little wings. The figure of Eddy Daemon is an effort to fully engage with the mind of the internet, the mind of God, or the mind of anyone filled with 10 billion bits of information. What happens if you try to write a sonnet with that in mind? Well, maybe some examples will be contained in this book, because you’re dealing with the concept of rapture, Shakespeare, the history of philosophy, and theology. We’re also dealing with the science of bot technology. So in this world of algorithms and computer language you’re imagining this mysterious bard, this kind of Shakespearean presence over time, this anonymously generated chorus. This deep linguistic structure which algorithms foster, this langue in the sense that the structuralists have employed it, is important for the formation of our souls in the new era. CARL RASCHKE: Would “soul” be the proper word here? DANIEL Y. HARRIS: It would! You use the word “soul”, because it is in the future of our species. Our souls will become vastly complicated. There’s no way around that. We have an instinct toward complexity, and what we are trying to oversimplify, that’s when disease happens. There’s almost a medicinal quality to complexity. Yes, if the solo Shakespeare was a vast imagination then included almost every possible experience to everyone at every time. The experiences are included in the twenty-first century equivalent of Platonic ideas. Experimentalism today would include every possible topic together, but unlike Plato computers might generate links between these ideas. Granted, the links are complicated; it takes a lot of time to compose poetry and to sustain it. But that seems to me to be where poetry can go, and I have to ask why isn’t this the norm, the standard of our time? Is this concept ahead of its time? Is it a time that’s going to be, or is it a resistance to this kind of thing? I think this partial truth is that there’s resistance to it, but that there is a sense that poetry in the visual arts are less inventive and less judged by invention than, say, mathematics. Physics, or computer science. One of the jokes I always make while living in the Cambridge area is how often is how often do you see workshops on physics, or advanced mathematics? Well, you mind if you’re at MIT. But poetry workshops are at every café in Cambridge for people that want to write poetry. There are 10,000 small presses, galleries all over the world showing mediocre art. Why is that? I think the answer is that language hasn’t caught up to science. There is of course what Wilhelm Dilthey called the human sciences – that is, hermeneutics – but there is a science to our evolution in a language that has not come up, and somehow we were able to get away with it. I like to call the workshops on poetry in America “knitting clubs”. Why is that happening? I think that it’s because we consider ourselves limited by our identities, by the place of where we live, and who we know. But our souls are at risk here. The advancement of poetry and poetic theory will depend upon the advancement of ourselves. The experimental language movements of the twentieth century went to a certain point. Great poets like John Ashbery took it to one level. The next level after that will be the incorporation of this form of technology as as part of a sunset, or breakfast, or a meeting with friends. Our souls will depend upon it. In addition to the books of poetry listed above, Daniel Y. Harris is co-author of The New Arcana (with John Amen, New York Quarterly Books, 2012) and Paul Celan and the Messiah’s Broken Levered Tongue: An Exponential Dyad (with Adam Shechter, Cervena Barva Press, 2010. The latter was picked by The Jewish Forward as one of the 5 most important Jewish poetry books of 2010) and Unio Mystica (Cross-Cultural Communications, 2009). He holds a Master of Arts in Divinity from The University of Chicago, where he specialized in Jewish mysticism and hermeneutics. He has served as the chief executive officer of Hillel Foundation of Orange County (California) and the president of the board of directors of The New York Quarterly Foundation. His poetry, experimental writing, art, and essays have been published in BlazeVOX, The Café Irreal, Denver Quarterly, E·ratio, European Judaism, Exquisite Corpse, The New York Quarterly, In Posse Review, Istanbul Literary Review, Kerem: Creative Explorations in Judaism, Mad Hatters’ Review, Milk Magazine, Moria Poetry Journal, The Other Voices International Project, The Pedestal Magazine, Poetry Magazine.com, Poetry Salzburg Review, Presa, Shampoo, Stride Magazine, Tarpaulin Sky, Wheelhouse Magazine, Wilderness House Literary Review, Ygdrasil and Zeek: A Jewish Journal of Thought and Culture, among others. 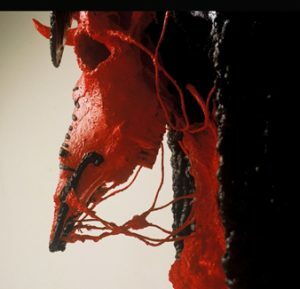 His sculptures, paintings and mixed-media assemblages have been exhibited at The Jewish Community Library of San Francisco, Market Street Gallery, The Euphrat Museum, The Center for Visual Arts, and Dolly Fiterman Fine Arts, among others. He was born in Paris, France, has lived in Boston, Denver, Chicago, San Francisco, Oakland, and Sacramento.